Mayor Michael Nutter announced today that New Jersey singer Jon Bon Jovi would be the 2014 recipient of the Marian Anderson Award. The award "celebrates critically acclaimed artists - individuals who have used their talents for personal artistic expression and whose body of work has contributed to our society in a singular manner." 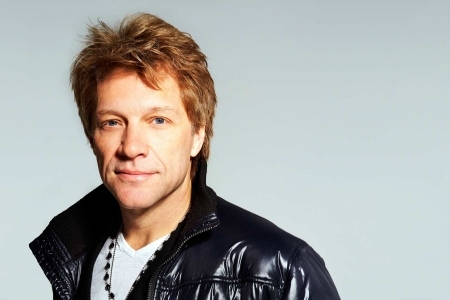 The Jon Bon Jovi Soul Foundation has helped build housing for hundreds of low-income families. The award is chosen by the board of directors. Past recipients include Bill Cosby, Oprah Winfrey, Maya Angelou, Sidney Poitier, Harry Belafonte and more. The awards gala and ceremony will be held November 18th at the Kimmel Center. An 89-year-old man awaiting extradition to Germany to face Nazi war crimes has died. Johann Breyer died Tuesday night at a Philadelphia hospital. He had been transferred to the hospital Saturday after spending the past month in jail. His death was made known just as U.S. Magistrate Timothy Rice approved the German extradition request today. German authorities hoped to try Breyer for his role as a SS guard at Auschwitz during World War II and charged him with aiding in the killing of 216,000 Jewish men, women and children. Breyer said he was just a teen at the time and was stationed outside the camp, not aware of what was happening inside. Breyer was arrested last month at his home in Philadelphia and was denied bail despite his frail heath. Verdicts are in in the traffic court ticket fixing case. All six judges (Michael Sullivan, Mark Bruno, Michael Lowry, Robert Mulgrew, Thomasine Tynes, and Willie Singletary) were acquitted on the most serious charges of conspiracy and ticket-fixing. Lowry, Mulgrew, Tynes, and Singletary were found guilty of lying to investigators when it came to using “consideration” for certain VIPs. While their actions may have been unethical, the jury found that it was not criminal. Scattered Thunderstorms, Temperatures in the 80's this evening in Center City.